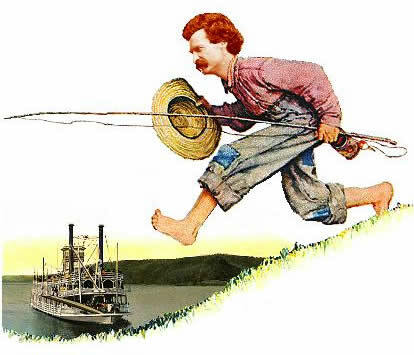 Mark Twain on Fishing | Capt Tony's "Walkingangler.com"
You see, in our house there was a sort of family prejudice against going fishing if you hadn’t permission. But it would frequently be bad judgment to ask. So I went fishing secretly, as it were–way up the Mississippi. But Especially – Do not tell fish stories where the people know you; but particularly, don’t tell them where they know the fish.